ELWE -Carte generale des provinces Unies des Pais Bas. ELWE, J.B. - Carte generale des provinces Unies des Pais Bas. Carte generale des provinces Unies des Pais Bas. - ELWE, J.B. Title : Carte generale des provinces Unies des Pais Bas..
Map maker : ELWE, J.B.. Size : 19.7 x 22.4 inches. / 50.0 x 57.0 cm. 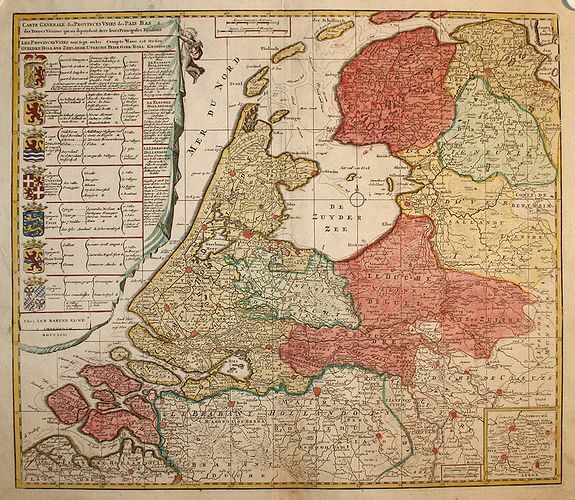 Description :Large map of the 7 provinces of The Netherlands, at left the coats of arms of these provinces..